Here's some news that got buried today amidst the drama in Egypt: Four missiles fired by unmanned US drones killed at least 17 people in Pakistan's North Waziristan tribal area late Tuesday. Five others were wounded in the attack. The targets of the airstrike were allegedly members of the Haqqani network, a newly denoted terrorist group that has carried out various attacks against American and Afghan forces across the border in Afghanistan. While only a single compound was struck, the small town of Miranshah has been shaken by the event. It is still unknown how many of those killed were among the intended targets of the strike. 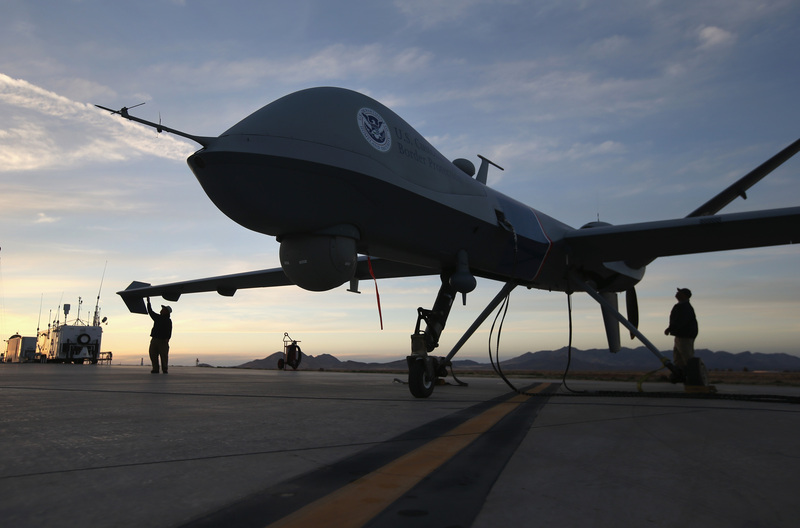 The last time the U.S. used drones in the region, the Taliban took swift retaliatory action, killing ten foreign tourists and their Pakistani tour guide. Pakistani-U.S. relations have been growing increasingly tense over the United States' refusal to put an end to its drone strike program. Just last month, Pakistan praised President Obama for his commitment to easing up on violence in his administration's anti-terror efforts, but this latest attack has Pakistani officials outraged once again. A statement released Wednesday by the Pakistani Ministry of Foreign Affairs calls drone strikes "a violation of Pakistan’s sovereignty and territorial integrity.” They also condemn the use of drones for causing the loss of "innocent civilian lives and [having] human rights and humanitarian implications." The Haqqani network is at least loosely affiliated with the Taliban. Meanwhile, the head of Afghanistan's army told BBC News this week that the Taliban's leadership is deeply embedded in the Pakistani authorities. He insisted that Taliban fighting in Afghanistan could be stopped "in weeks" if Pakistan chose to take action. Pakistan has denied these claims vehemently. Whether or not they are actually affiliated with the groups attacked, however, continued strikes on their sovereign territory are not likely to encourage them to go out of their way for the sake of the United States' interests anytime soon.